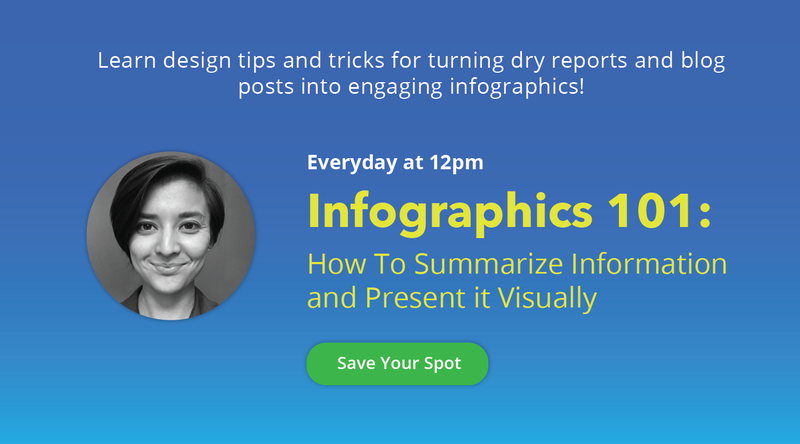 Infographic outlines are basically recipes for awesome quality infographics. 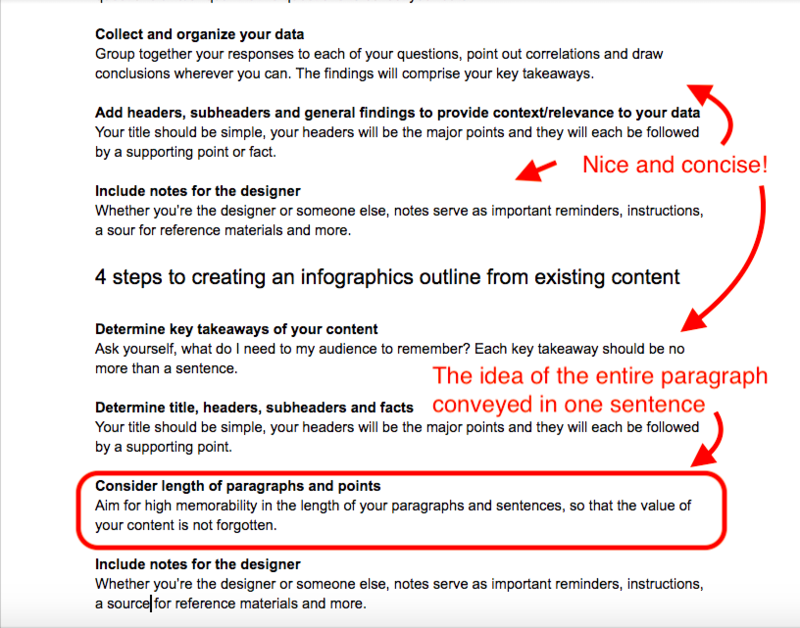 In an infographic outline, all the written content is like the list of ingredients in a recipe, while the notes you include guide the design process, just like the cooking instructions. When deciding on a topic, you should think of something that’s insightful, solves a problem or answers a question. For a more in-depth guide on picking a topic for your infographic, check out this post. The Netflix habits of my coworkers. 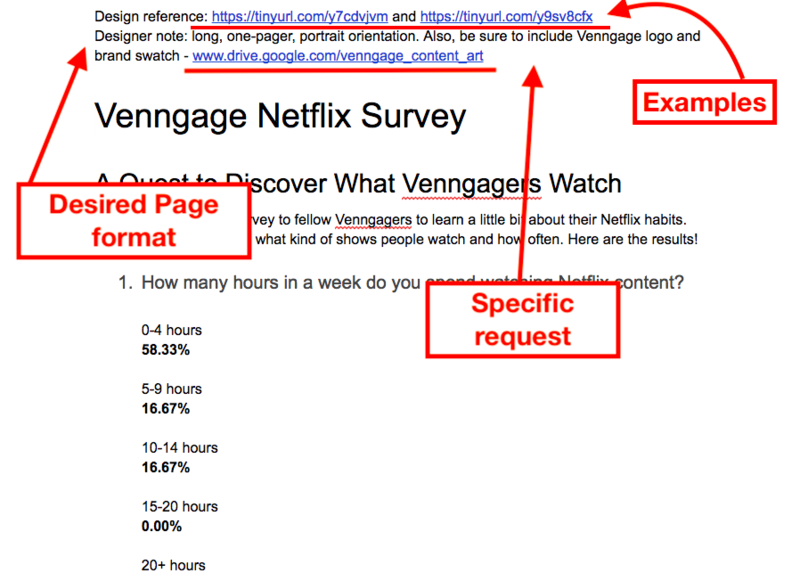 I sent out a survey to the hardworking and tireless team at Venngage and asked about their Netflix habits. It was part of my plan to make us seem cool and relatable, so that you couldn’t help but like us and think we’re awesome. Once you’ve got a topic in mind, you’ll need to formulate your questions and determine a way of getting getting your answers. How many hours in a week do my coworkers spend watching Netflix? What are my coworkers’ top 3 shows/movies? If Netflix didn’t exist, how do my coworkers think their time would be spent? For a more detailed guide on conducting research, check out this blog post. 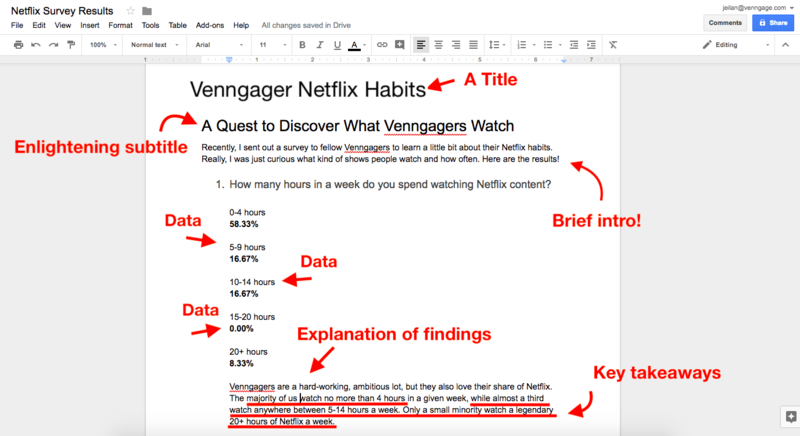 If you’re conducting your own research, you’ll need a tool to collect your answers somehow. One way to do that is to send out a survey or poll. I decided to create a survey. I sent out my survey, refreshed my inbox, stared at the clock for a few minutes and started pestering my coworkers to check their emails. The responses started coming in over the next few days. I wanted to see the survey responses so I ignored other things that got measured (respondent IDs, survey completion dates, survey completion times, etc.). Basically, I listed each question down on a separate document, followed by the volume of each response. For some of the qualitative questions I asked, I determined what the most common answers were by just tallying them up. I repeated this process for all my questions. Once the data from my Netflix survey got organized and laid out, I had the body to my outline. But on its own, it was just raw data and meant nothing. The infographic can’t just be information listed out, it needs to explain what has been shared. List key takeaways (my unique findings). I summarized my findings in words to reinforce the story that the data told. There was more to the data than what I pointed out alone, but what I brought up were the most important facts relevant to the survey. Once your data and your points are clearly laid out, you’re at the last step. If someone handed off a bunch of ingredients to you and said, “Make lemon-herb grilled salmon”, you might not know where to start or it would take you a long time. It’s sort of the same thing if someone handed you a sheet of point-form notes, and said, “Can you turn this into an infographic? That’d be great,” and walked off. If you’re the designer, the notes are reminders for yourself. If you’re handing off the design to someone else, the notes will serve as instructions. To avoid any confusion between the notes and the actual content itself, I leave notes in the headers and footers of a document. 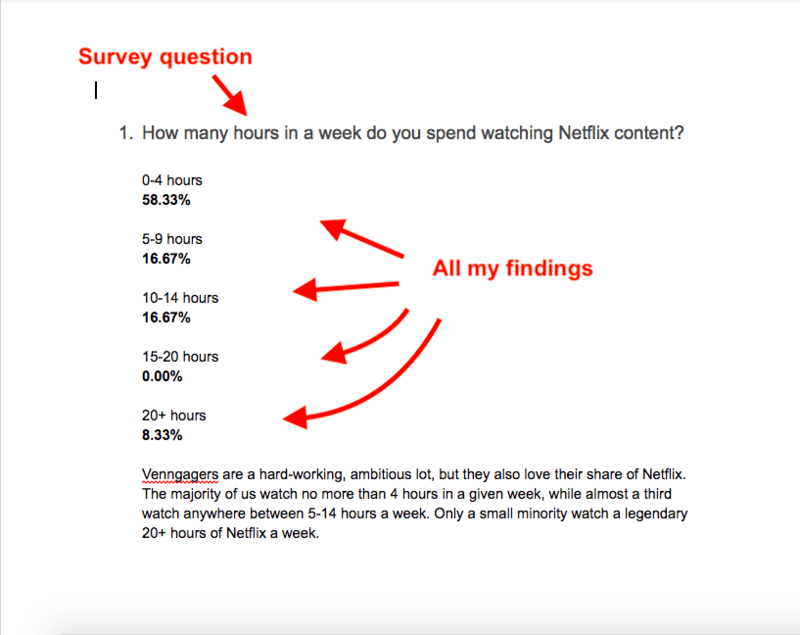 For my Netflix survey infographic outline, I made very specific notes. If you take a look below, you can see in the header that I included a link to an infographic I liked. I also indicated the type of page layout I want and the fact that a logo needs to be included. We all know the day brings many distractions (cats) so I need to stay organized. With clear notes in place, I can always come back to this outline and remember that there were three very specific things to keep in mind while working on this particular infographic. But what’s this? You say you’ve already got content, do you? Well, in that case, you’ll be following a slightly different process. 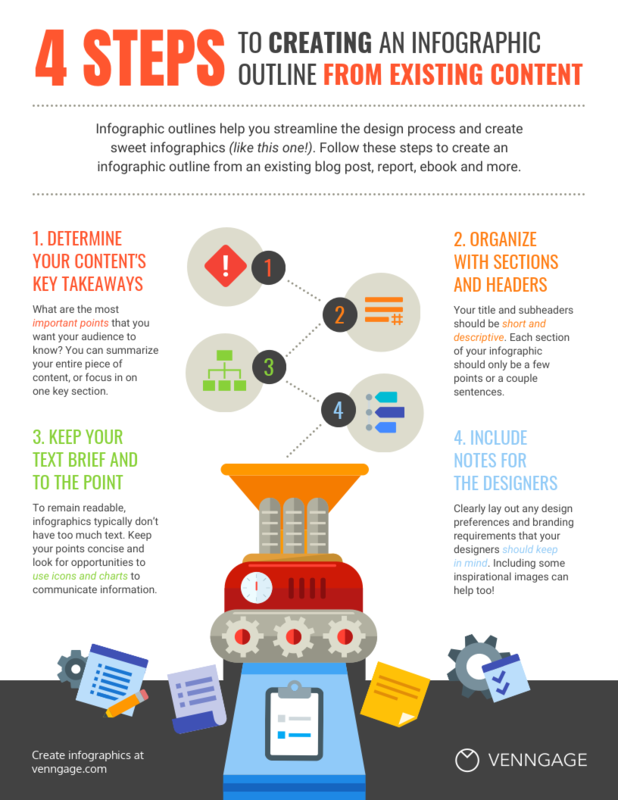 Let’s say you want to repurpose some existing content into a visually engaging infographic. It could be a presentation, a post for another publication or part of a newsletter, etc. Or maybe you haven’t published it yet, but seeing your lengthy, dry content has made you realize it’s missing something. So, like all smart content creators, you decide you’ll turn your content into an attractive and engaging infographic. Alright, first we strip. Our content, that is. We strip our content to its key takeaways. Ask yourself, what do I need my audience to remember? If they’re going to forget how awesome my writing style is, my wonderful jokes and extensive vocabulary, then what should they leave with? As it is, there’s way too much written content in this post to cram into an infographic. What I did was identify the essential need-to-know facts that are of value to my readers, that can be grasped within seconds of viewing my infographic. So once I started reducing the existing content to the most important bits of information, my content became a series of headers and points. Above, in the outline version of this post, you can see what stayed the same and what drastically changed. Your title and subtitle can stay the same. But each header in my article became one of the major points for my infographic outline. Then, after each header or subheader, I summarized a key takeaway in one or two sentences. It’s similar to the first example, but there are just less headers and list-type sections summarizing the content. 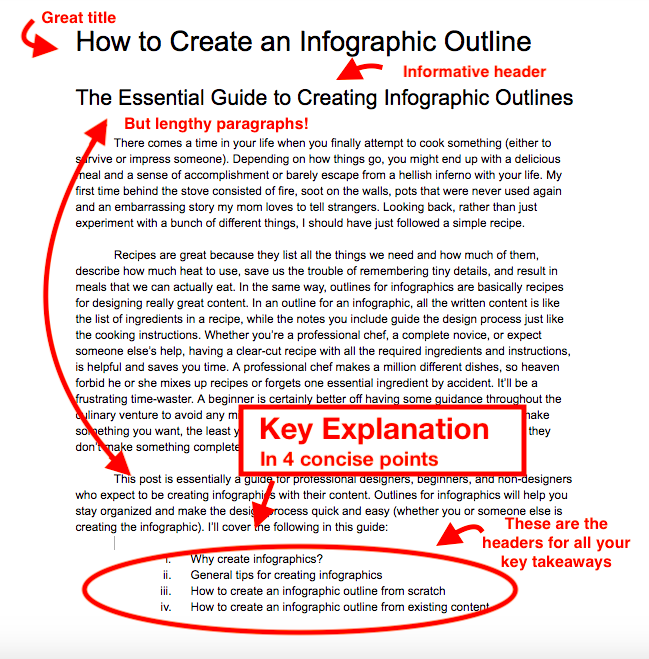 When crafting your outline, you want to balance how informative the content is with how it’ll appear in an infographic. For example, if all this stuff you’re reading now was slapped into an infographic, it would look crowded. The pile of words would look as if it was forcefully crammed in with everything else. Instead, if I just sum up the essence of these points into one sentence, then I know my reader will remember the content. 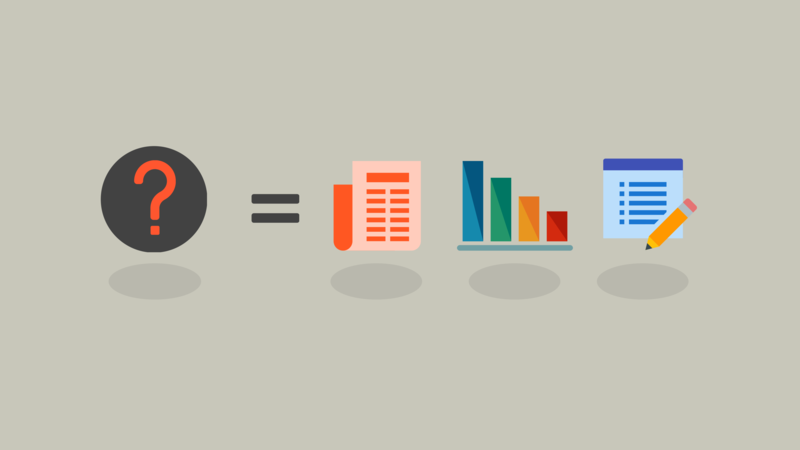 Our last step, whether the infographic outline is for fresh content or old, stays the same. As I mentioned before, whether you’re creating an outline for brand new content or existing content, the role of notes in your outline doesn’t change. So that’s all there is to creating easy-to-understand infographic outlines. If you’ve got any thoughts or questions, just comment below. Also, feel free to explore our design blog further for more guides, how-to posts, and ebooks on content creation, design and other topics.